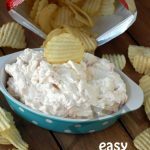 Easy Shrimp Dip is always a hit with my peeps and yours will love it too! This time of year you are going to need a few great go-to appetizers to feed a crowd. 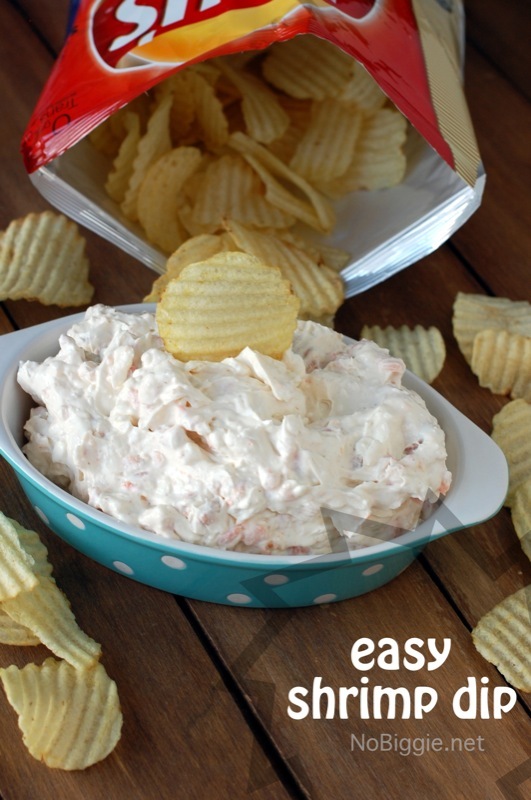 This oh so easy shrimp dip is one of our favorites. Whether you are all gathered for the big game or any kind of party, this shrimp dip is always a big hit! If you like shrimp, then you will love this recipe. It’s easy to throw together quick, and you probably have most of the ingredients right now. 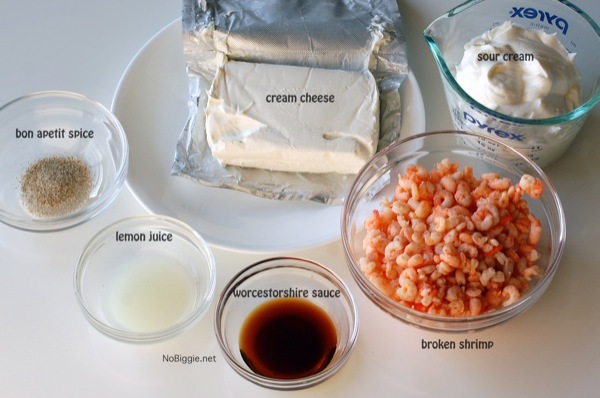 Mix together all ingredients (except the shrimp). You can use your mixer if the cream cheese isn't fully softened. Add the shrimp last and mix it in by hand. That’s it! If you love shrimp, then you will love this dip. If you’re looking for more shrimp recipes, then you will love this more fancy shrimp cocktail dip platter. What are your game day favorites when it comes to appetizers and party food? Hey just wanted you to know you have been on my mind and hope your doing well! I’m excited to have Nic help us!